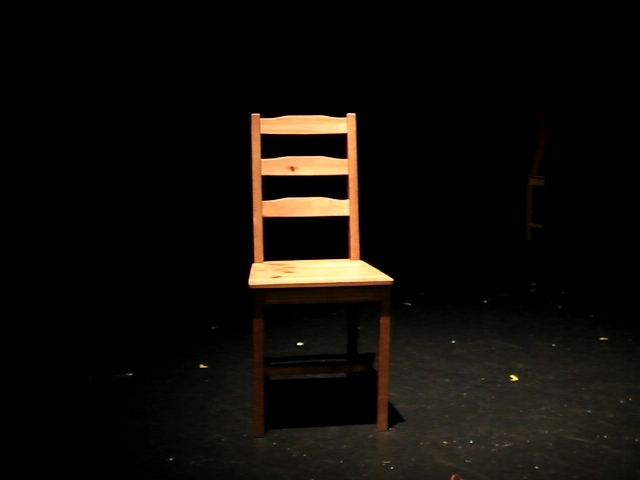 It’s the final week of rehearsals for Please Be Seated, a verbatim play about love and chairs. The play opens next week. Today we talked about ‘acting’. Well, kind of. We were really talking about intimacy and storytelling. We talked about zones sliding from public to private , and how the same material might be related differently in a public youth forum convened by Julia Gillard at parliament house, or in the arms of a lover in bed. Interestingly the spectrum of possibilities didn’t extend to the internal – that is, the kinds of things you might ‘tell yourself’. 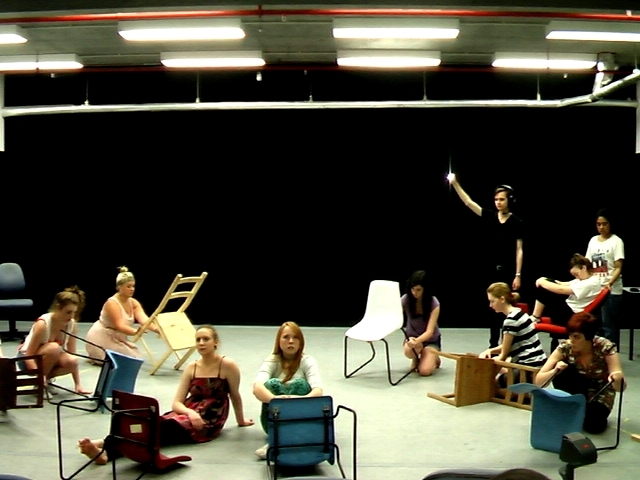 We did a playful exercise where a couple of ‘stories’ which are related in the piece were ‘acted out’ in movie genres. This was mainly to illustrate the geography of a story – that ‘this person’ ‘over there’ did ‘this’ with ‘this person over here’. That the text can be embodied as you literally ‘enter the situation’ in order to share it. The actors have met the challenge of ‘taking responsibility for their own performances.’ Which was my main directorial instructions as far as acting went. They have their lines down, and there’s a nice ‘naturalness’ to their performances which honour the material, and make the leap from the stage to the potential audience. Ran through the first half of the play with various fixups and fiddling. The process of detailing has begun – it will be very accelerated as we get closer and closer to the performance dates. Picked up from yesterday and ran through the remaining scenes from the second half of the play. At the moment, generally three passes at it and a scene’s done. A run thru for memory to revisit established blocking, then another pass focussed on ‘acting’ then some notes, then a revisit to consolidate. We experimented with party poppers for the New Years Eve sequence, that’ll be nice and daggy. A little detailing of the transitional sequences, effectively ‘musical numbers’, and inserting the finishing touches to the soundtrack, which I’ve been editing progressively so it both shapes and is responsive to the action we develop during the day. It’s looking like the underscore moments (that is, when music plays under monologues) have fallen in the second half of the play, after the dream sequences, once the characters are ‘in love’. This has emerged, rather than been premeditated, but it works. The music comes once you’re ‘in love’. I like that. Also handed over Scenes 8 & 10 to the Assistant Directors who are doing a good job, looking after lots of things, from prompting, to sound operation. I’m keeping an eye on how the AD’s (and I) absorb and respond to scenes with ‘notes’, and realise how concise you have to be in offering feedback to actors. I’m convinced student actors respond best to one note at a time. Depending on the individual actor, notes to actors can be poetic, but must not be abstruse. The actors. I call them performers… are doing well – they’re quite relaxed and believable a lot of the time, and there’s a lot of focus and concentration in the room which is really good for the whole play and the moments that constitute it. We ran the play. It was a disaster. Everybody forgot lines and I feel like I’m in the middle of a monumental failure. No, actually, that’s not true at all, though if more things went wrong it would make this blog a bit more ‘dramatic’. Does ‘drama’ always have to involve ‘stuff going wrong’? Actually the first run was totally fine. We stood on the shoulders of last week’s hard work and blocking/crowd control. It went for 51 mins 11 secs, and is in good shape. It worked really well, and seeing the play for the first time I got a sense of the ‘arc’ of the non-verbal character of the MAN. Simply stressing the word ‘you’ at this moment carried the weight of Please Be Seated and how a verbatim play can endow the audience with their status as listener- with this play it’s a kind of ‘confidante’ role, as the play moves from the characters telling the audience stories to ­entrusting them with the stories. What the stories are ‘about’ is of less significance, in some ways, as this relationship develops. Well, that’s what I think on Day 7 anyway. The production needs an audience now, especially as it’s all direct address. All good today, some more work on transitions, then run of first half, then notes/fixups, then run of second half. The play’s definitely ready for an audience- and there will be one – tomorrow! A little looser today, one of the sets of monologues about schoolyard crushes has been blocked into a two-row shape like a school photo, this is working nicely. There was a nice looseness and humour as we worked on making this a convincing school photo to complete the scene. Quite a lot of fun. Some cast members later shared their own primary school photos, and we saw the reality of what we were creating a stage version of. Today I found myself saying ‘I think we’ve created something quite beautiful…’ after the ‘breathing’ sequence in Scene 10. The cast seem to think so too, but we have to believe it’s alright to keep going. There are two other productions rehearsing in the same building, at the same time. One of these (Bassett by James Graham) is being directed by my friend and colleague Bridget Boyle. So her cast watched our run, and then we watched theirs. It went over well. The baby chair in the birth sequence was accidentally dropped on its head, which was a horrific moment for the cast, which points to how much we’ve invested in the ‘chair device’. From the laughs and other sounds the audience made, I reckon it works. Our second run went for 51 minutes, 34 seconds. 20 seconds longer than the last one. Perhaps it’s because much of the music is of a finite length and we’ve choreographed specifically to it, or the play’s in solid form, or both. The brief discussion afterwards was around how enjoyable it was to watch, how ‘real’ and ‘relatable’ (this is a Gen-Y word that I simply can’t..well.. relate to) the material was. There were some comments about the ‘open characterisation’ – that urge we have to look for character arcs and development when there are none, really to speak of, in the text. Any developments are down to the work the actors have done, and what the audience can deduce from the same performer putting across disparate material. Bridget commented on how ‘connected the performers were to the material’ and that while all the stories were well told, there was a fairly unified ‘tone’ to the way the material was put across that inferred the characters were (perhaps) all from the same socio-economic strata. Obviously I can’t be sure about this, though one can make generalisations about uni students. However, I’ll push a couple of the performers to go further with certain elements of their performances and see what happens. 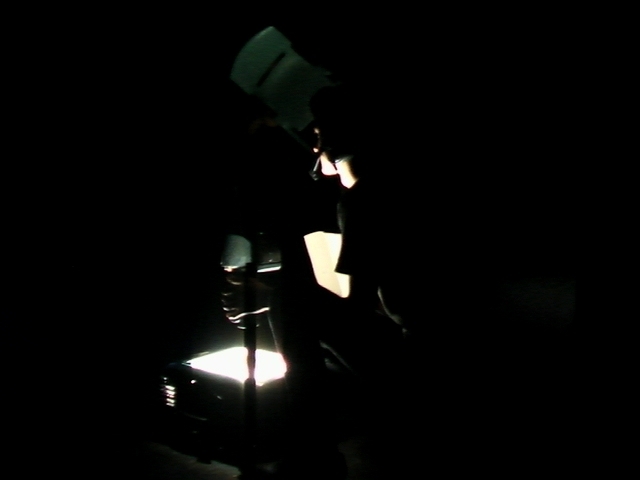 Then we did a lighting and sound plot which, while it revealed some uncomfortable puddles of tyranny that lurk in traditional theatre hierarchies (and tertiary institutions) got the job done. Replaced the Video Projection with a piece of perforated cardboard and an Overhead Projector. Gotta love that. 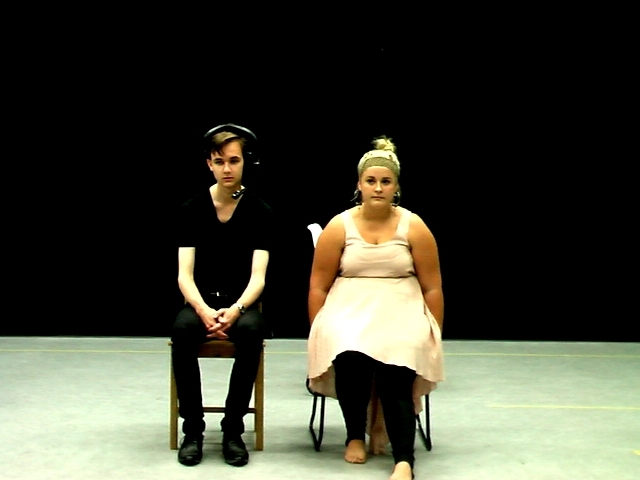 Any initial thoughts, feelings or responses to these two weeks of rehearsals? What’s changed the most as the play has moved from page to stage? Even though we haven’t done much ‘character development’ you can see everyone is becoming more and more connected to their character. The addition of the transitions really add something to the play and…the blocking brings alive some funny lines that I never noticed before. I usually enjoy doing the talking-stuff onstage but have actually had a blast with doing some physical work. I’m really proud of how far we’ve come. 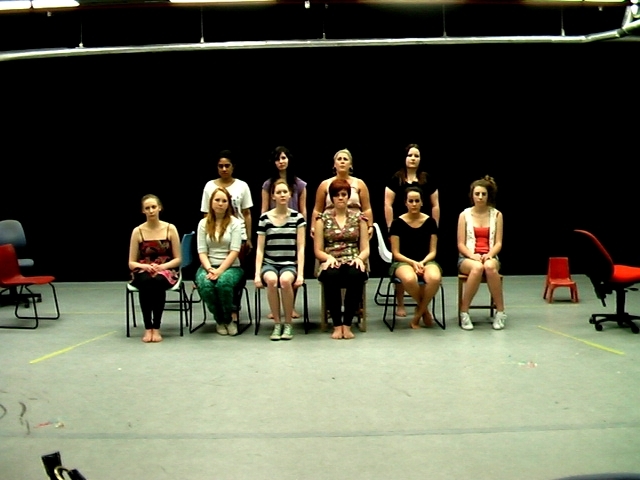 Our ensemble is so strong and I feel that has worked in our favour to create a touching piece of theatre. I had no problem being here everyday with the same people, saying the same thing, doing the same actions. Sometimes you think it would get old, tedious or boring but every time I felt something new happened. Was great to be part of its development and outcome.